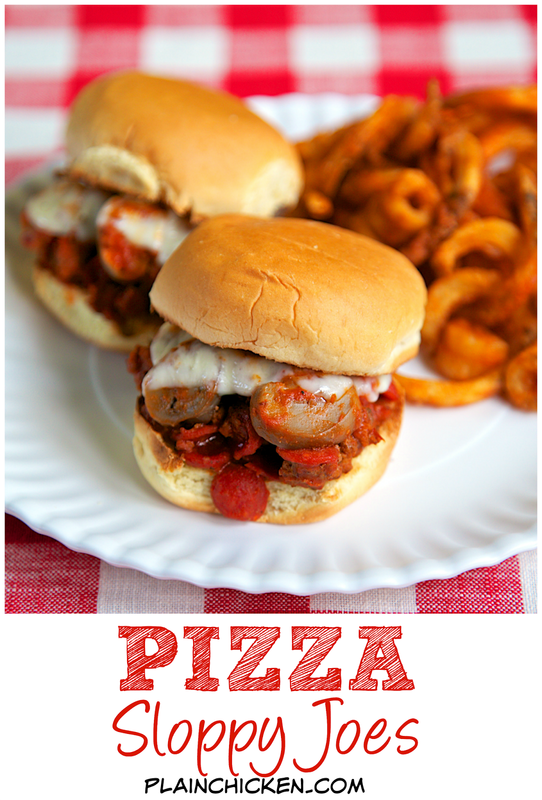 Pizza Sloppy Joes Recipe - hamburger or sausage, pepperoni, mushrooms, pizza sauce - top with mozzarella cheese. Our new favorite way to eat sloppy joes! Ready to eat in about 15 minutes! Chicken Legs is a big fan of Sloppy Joes. He absolutely loves them. I don't make them often enough for him since I'm not a huge fan. 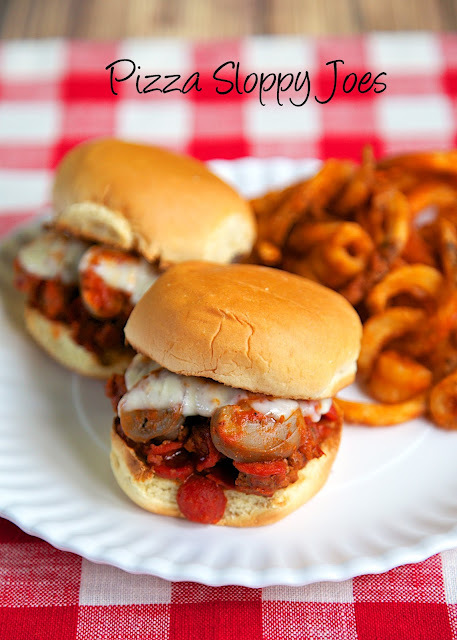 Well, I am a huge fan of these Pizza Sloppy Joes! They were SO good. 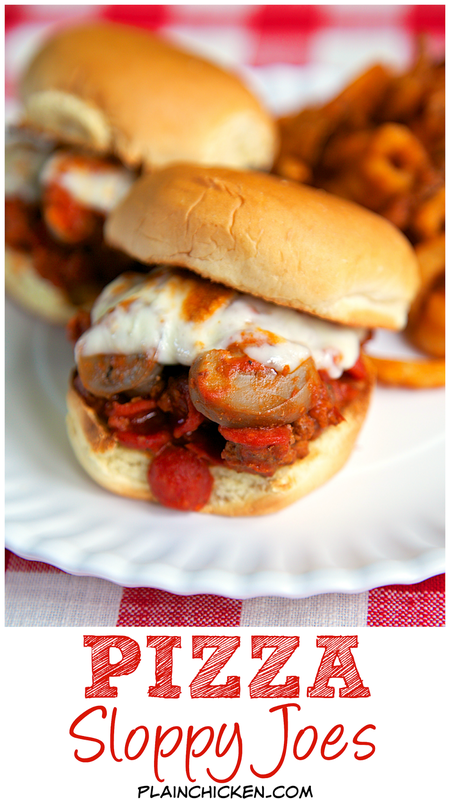 Hamburger or Sausage, pepperoni and mushrooms simmered in pizza sauce. You could even add onions, peppers and olives to the meat mixture. 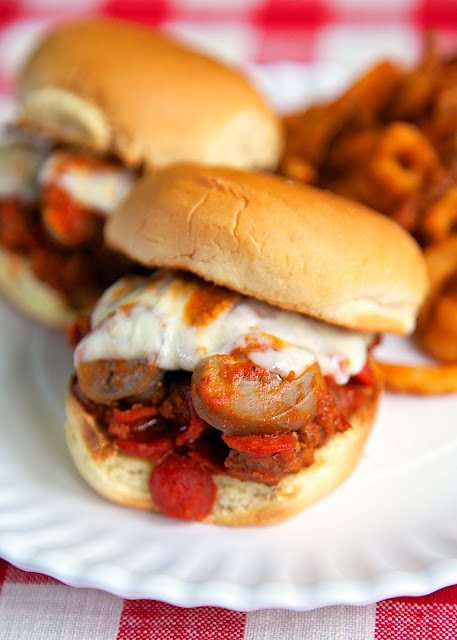 We used slider buns and topped them with some mozzarella cheese. I was happy because they tasted like pizza and Chicken Legs was excited to have one of his favorite meals! In a large skillet cook the hamburger or sausage until no longer pink. Drain fat and return meat to the skillet. Stir in the pizza sauce, pepperoni and mushrooms. Simmer for 5-10 minutes. Love this twist on sloppy joes to mix it up a bit!